Very well done, thank you for this. A few months ago I saw that you requested a translation for a document from German to English. Whilst my knowledge of German is limited, a fellow Engineer in my department is impressively fluent in modern German, but maybe not in mid/high 16th century German, nonetheless he says he would "Have a stab at it" for free, as reciprocation for a favor I done in the past. If you would like an attempt at translation, direct me to the document you wish to be translated, and I will print it and pass it on to my colleague. Will the new LW volumes be available electronically to be intergrated with the LW CD ROM? If so, does Concordia have a date set for this? Thanks for the offer Black Sheep. At the moment currently, I don't have anything on my plate in terms of translation, but I'll definately keep you and your kind offer in mind. J. Swan, Many thanks for your fine summary of English and German print copies of Luther's works. I've been trying to learn some Latin, but as it is not even taught in High Schools I've little hope of coming to any reading ability. 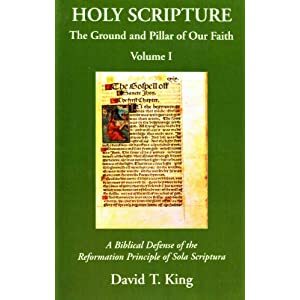 Are the Latin biblical commentaries available in English? I also have the CD version of the 55 book American Edition, but it does not seem to have Luther's prefaces to each of the canonical books. I admit to clumsiness in respect of computers. Your work will attenuate many a headache! I also have the CD version of the 55 book American Edition, but it does not seem to have Luther's prefaces to each of the canonical books. The prefaces are on the CD. See vol. 35. J. Swan, 10,000 thanks for putting me on the right track! Your guidance is very kind. No problem- I've been using the Luther's Works CD ROM for over 10 years, feel free to ask me any questions about it. Hello, thank you for this interesting blog. Is there any way to get help in decoding the characters of the alphabet in the Calligraphy used in Luther's Works of the Weimar Edition. I am working on the "Vom Abendmahl Christi Bekenntnis", 1528, in WA 26, 261-509. I am fluent in modern German, but I have a difficulty in recognizing all the characters in this 16th century text. I would be grateful for any help or tip about this. Is there any way to get help in decoding the characters of the alphabet in the Calligraphy used in Luther's Works of the Weimar Edition. Yes, there are charts online that decode the characters. Use google and search for "lettering of old German text" or something like that. @James Swan: Many thanks for your kind answer and the useful tip that you gave. I had actually tried some hits on Google Search with other keywords, but had not gotten any direct results. Now I did. Thank you! I've spent many hours dealing with those old characters. What's interesting to me is that a Google search appears to have some sort of filter that at times is able to understand the old characters in it's search results and will present modern textual characters in its results instead of the old characters. Hope that makes sense.